The powerhouse conservative organization plans to invest big in the three Republicans: Walker Stapleton in the governor's race, incumbent Sen. Tim Neville of Littleton in Senate District 16 and Christine Jensen of Arvada in Senate District 20. COLORADO POLITICS — Colorado is one of a handful of states where Americans for Prosperity, the political advocacy group backed by the Koch brothers, will put money directly behind candidates in the 2018 election, state executive director Jesse Mallory told Colorado Politics Wednesday. The powerhouse conservative organization plans to invest big in the three Republicans: Walker Stapleton in the governor’s race, incumbent Sen. Tim Neville of Littleton in Senate District 16 and Christine Jensen of Arvada in Senate District 20. There is no set budget yet for the three campaigns, Mallory said. It’s the first time ever that AFP is spending directly for Colorado candidates. 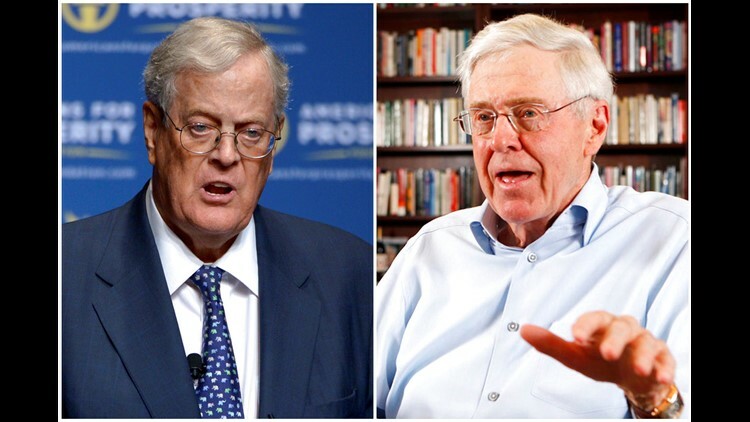 Americans for Prosperity is reviled on the political left for its ties to David and Charles Koch, the billionaire Wichita-based businessmen. The organization historically shapes policy and organizes grassroots efforts that are favorable to Republicans.